Could You Survive Being Trapped in Your Car Overnight in a Blizzard? It’s the worst case winter driving emergency. You’re stranded in your car at night, in the middle of a blizzard. What do you do? Are you prepared to stay safe and comfortable? It’s important to go beyond the basics to be prepared for winter emergencies and survive a worst-case scenario. Supplement your emergency car kit with supplies to prevent hypothermia and dehydration, such as an emergency space blanket and rehydration salts. 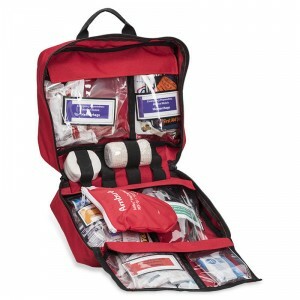 To cover all the bases, we highly recommend a comprehensive medical kit like Chinook’s EPMK Home & Vehicle Kit over a basic first aid kit that contains little more than extra Band-Aids. 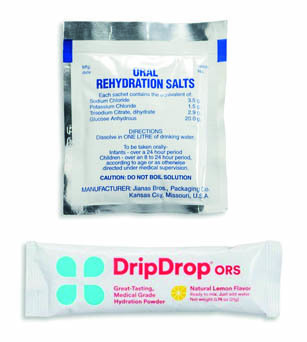 In addition to emergency/survival blankets and hydration powder, the Home & Vehicle Kit includes a variety of medications, EMT shears, tourniquet, QuikClot, bandages and enough Band-Aids to ensure you and your family are well-equipped in the event of a medical emergency on the road. When it comes to surviving being trapped in your vehicle overnight, the basics of any survival situation still apply – shelter, food and water – so be sure to keep extra clothing, nutrition bars and bottled water in your car. Also check your kit for expired items and anything that needs to be restocked. A little extra preparation with the right supplies can mean the difference between being cold and miserable, and possibly save your life.